USDA loans are government insured loans for purchasing rural property outside of major metropolitan areas. USDA loans are serviced by direct lenders that meet federal guidelines. USDA loans offer unique benefits, including no down payment requirements for buyers. If you live outside of a major metropolitan area, then you may qualify for a USDA loan. As a matter of fact, millions of borrowers are eligible for USDA loan, the only program that offers 100% financing available* to buyers who haven’t served in the military. The county and zip code of the home you want to purchase may meet the guidelines as long as it is outside of a major metropolitan area. Conventional loan can require a 20% down payment, but USDA loans stand alone in offering 100% purchase financing with no down payment requirements. 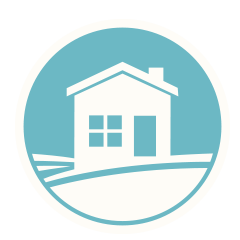 As long as you meet the USDA requirements, you can get 100% financing when you purchase your rural home. The requirements for a USDA loan are very specific, so our specialized loan experts at American Pacific Mortgage can help determine if you qualify under the current guidelines. The location of the home, your income, credit history, and number of dependents will determine eligibility for this fantastic program.